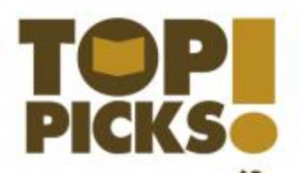 Named a TOP PICK! by RT Book Reviews! Aww, yeah! Awesome. I’ve been wondering about these two for ages. I need to find this book. So looking forward to this one; already pre-ordered! I am THRILLED! We’ve watched them dance around each other for quite a while, now it’s time to see them on their own. I just want to know about the boots. I love Luc and Lindsey. They are both funny and are easy characters to fall in love with. I was hoping we would get to see them on their own. Can’t wait for the book.! I just want to say I hope this book will appear in France too because I love the chicagoland’s vampires ! Thank you very match for this saga ! Actually im excited for All the up coming releases! OMG! 2 DAYS AND IT WILL BE OUT! This is the best christmas gift and it’s just in time to be a nice stress reliever from studying for finals!